Prince Harry's American bride-to-be has already become a trendsetter. Meghan Markle, the American bride-to-be of Prince Harry, has already become a global trendsetter with her bold sartorial statements. Her personal style, which has been described as “California girl" and "effortless,” breaks the traditional fashion choices of British royals. 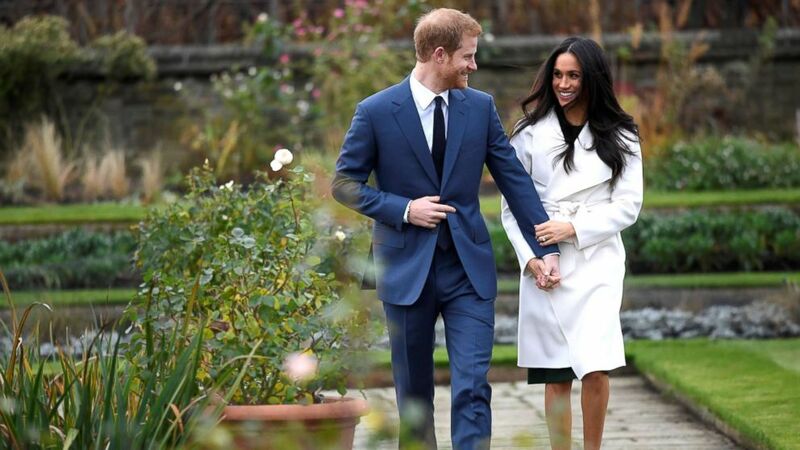 The white coat by the Toronto-based brand "Line the Label" that Markle, 36, wore when she officially announced her engagement to Harry, 33, at Kensington Palace on Monday quickly sold out online that same day. (Toby Melville/Reuters) Britain's Prince Harry arrives with Meghan Markle for their engagement announcement at Kensington Palace, London, Nov. 27, 2017. 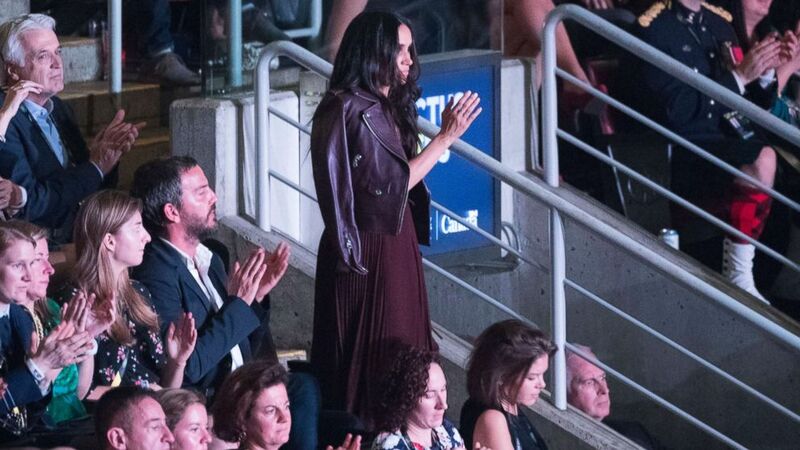 This September, the $185 dress by the Vancouver-based brand Aritzia that Markle wore when she attended the Invictus Games also sold out online shortly after photos of her at the event emerged. (Stephen Lock/ i-Images/Polaris) Meghan Markle watches the opening ceremony of the Invictus Games in Toronto, Sept. 23, 2017. Some fashion writers have dubbed Markle's influence on trends the "Meghan Effect," similar to what has been called the "Kate Middleton Effect," in which consumers quickly snap up whatever the Duchess of Cambridge has been spotted wearing. While both women have wielded immense power over retail trends, many have observed how the American actress' modern fashion choices contrast with Princess Kate's more conservative wardrobe. “Between her and Kate, there’s something very regal and classic and sophisticated about Kate, and not that Meghan isn’t, but there’s almost this laid-back, Cali cool girl [feel] about her,” said Zee. (AFP/Getty Images) Britain's Prince Harry's fiancee Meghan Markle poses for a photograph in the Sunken Garden at Kensington Palace in west London on Nov. 27, 2017. 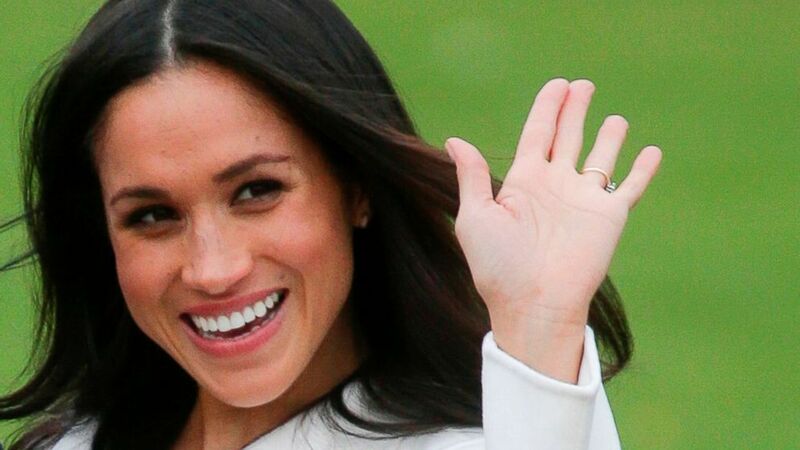 Markle's choice to bare her legs during her engagement announcement on Monday made headlines. Queen Elizabeth and Princess Kate typically wear tights or pantyhose in public. 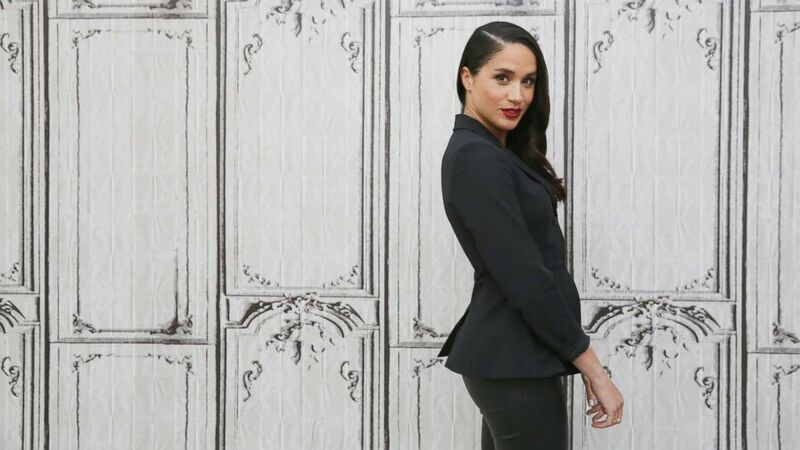 Markle described her personal sense of style as "California-girl" and "relaxed" in an interview during New York City Fashion Week in 2015 with Zee on Yahoo. "I like to look polished and put together, but for me there's always going to be that effortless quality just coming from L.A.," Markle said. "I think the most important thing you can do is tailoring," Markle added. "You think it's not going to make a big impact but if it fits you to a T, you look a million times better." (Mireya Acierto/FilmMagic via Getty Images, FILE) Actress Meghan Markle in New York, March 17, 2016. 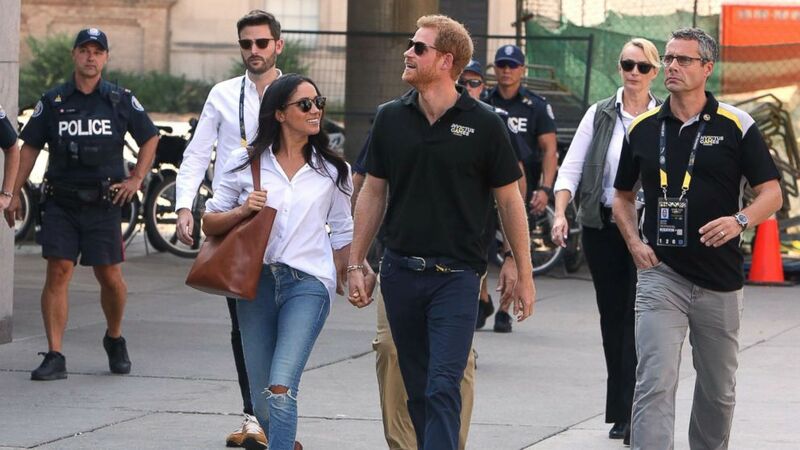 Last month, Markle's casual sense of style was on full display when she donned ripped denim and a loose button-down blouse while at the Invictus Games with Harry. (Splash News) Prince Harry and Meghan Markle attend the wheelchair tennis event together at the Invictus Games in Toronto, Sept. 25, 2017. While she now settles into her role as a trendsetter, Markle is no stranger to the fashion industry. In October 2016, Markle unveiled her own fashion line for the Canadian retailer Reitmans. She shared a photo of herself modeling part of her collection on Instagram, including a faux-leather pencil skirt and a black turtleneck. In another photo for the brand, which features items in muted earth tones and mixes knit fabrics with silks and faux leather, Markle wore a pair of skin-tight pants. So excited to announce the exclusive fall collection I designed for @Reitmans!! More details by clicking link in my bio #MMxReitmans #fashion ? ?please read my personal comments in the feed below ?? ABC News' Carolyn Durand contributed to this report.